To schedule theme updates on your website, go to Websites screen, hover over a website and click Open website dashboard. Click Themes in sidebar on the left-hand side and then click Scheduling. In General section, you can set the time and day for your updates. 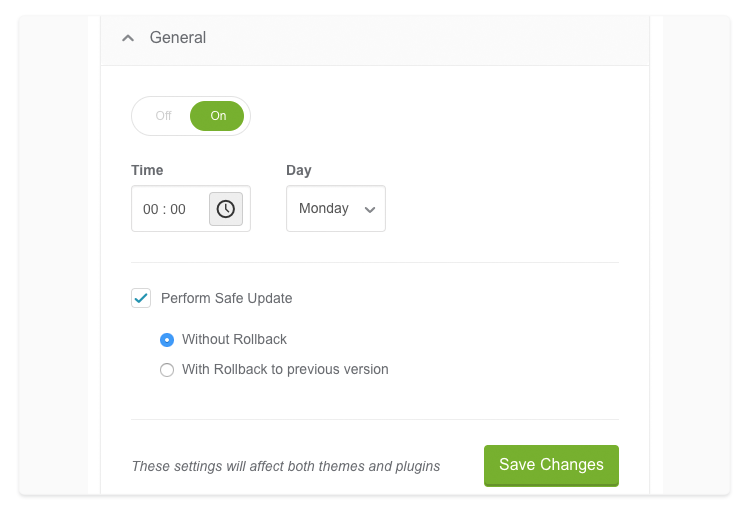 Select Perform Safe Update if you need to schedule Safe Updates instead of the regular ones and then click Save Changes. 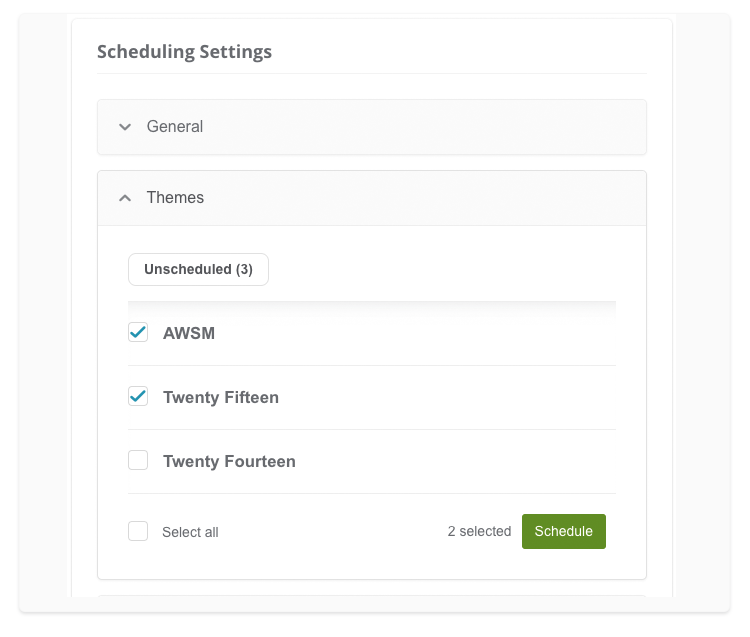 General scheduling settings are global, meaning that changing them when scheduling plugin updates will overwrite settings for theme updates as well, and vice versa. 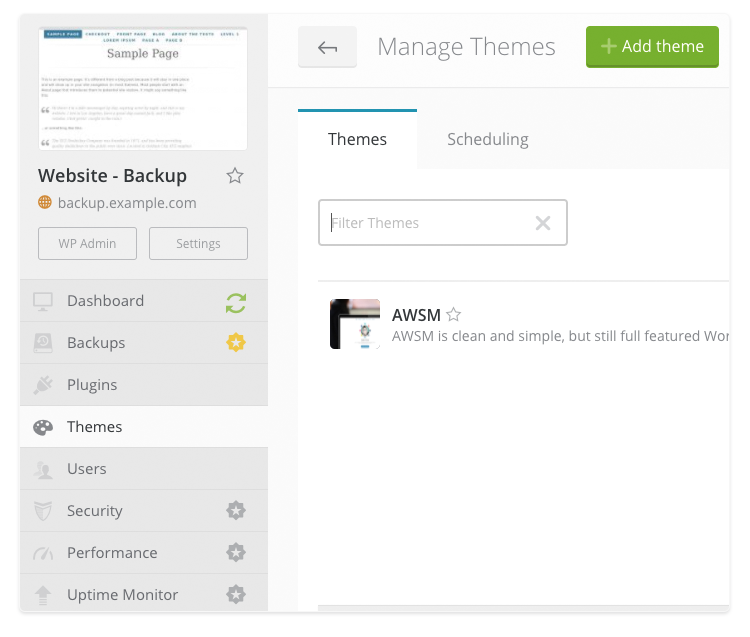 Scheduling updates on multiple websites at once will also change the general settings for a single website. 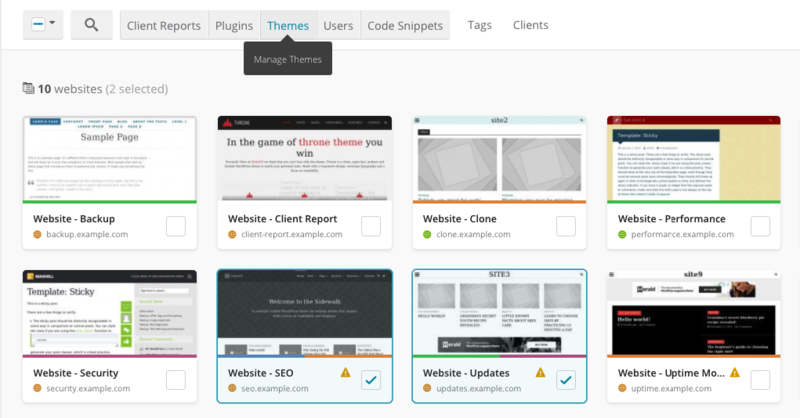 In Themes section, select the themes that you want to update automatically and click Schedule. You can turn on notifications about automated updates in Event notifications section. Click Custom settings and turn on notifications for yourself, collaborators or clients and click Save Changes. If you don’t change event notification settings, we will use global settings by default. Go to your Websites screen and select multiple websites. Click Themes in the top menu and then follow the steps above.